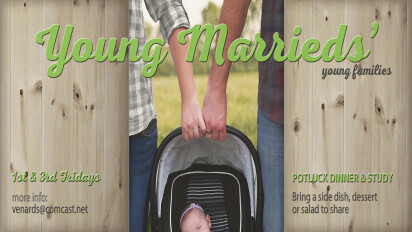 Young Marrieds is a group for couples who desire God's design for their marriage. We meet twice a month in a couple's home for a potluck and discussion of biblical principles for a solid foundation. Any couple who wants to build friendships and a godly home is welcome to join us. *Child care is not available.